Grew up… destined to be a hero. The child of mortal Alcmene and immortal Zeus, Hercules has been accomplishing fabulous feats since he was a baby. Growing up near Thebes, Hercules was taught everything he would need to know – philosophy, medicine, and the battle arts – by a centaur named Ceridian, before enrolling in the Academy, a breeding ground for true heroes. Living… nowhere for long. 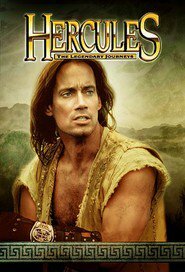 Together with his companion, Iolaus, Hercules wanders the earth looking for monsters to fight, people to save, and the next big adventure. He did once settle down once, but ever since his wife was murdered, Hercules hasn't had a place to call home for more than a couple of nights. Profession… demigod. 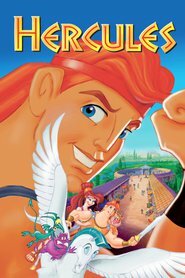 Hercules's incredible strength, speed, and skill make him nearly invincible, but his moral integrity means he doesn't abuse his powers. However, after his family was killed by the wrathful goddess Hera, Iolaus convinces Hercules to them by actively using his powers to help others. Interests… helping people. Hercules fights the gods "because instead of helping us, they interfere with us," often treating mortals as little more than toys. It's not an attitude that sits well with Hercules, and so it’s one of the reasons he protects innocent people from supernatural depredations – after all, not everyone can be superhuman. Relationship Status… widowed. Hercules had finally found true love with Deianeira, but Hera ripped that away. But Hercules is particularly famed as a passionate lover, so when he’s ready, he shouldn’t have any trouble finding someone new. Challenge… defeating the monsters, protecting mortals from the gods, and preventing the end of the world. Personality… brave and charming. There’s no question that Hercules is a good person – he’s constantly on the lookout for other people’s needs, for anyone who might be in trouble, any way that he might help. But that doesn’t mean he has to be dull about it. His deadpan humor and good looks often win over the people he meets. Well, mostly women. But that’s not his fault. Hercules's popularity ranking on CharacTour is #2459 out of 5,000+ characters. See our top-ranked characters and read their profiles.